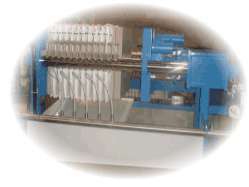 The initial operation of a membrane filter press is identical to that of its recessed chamber counterpart. However once the filtration cycle is complete and final filtration pressure is achieved the feed into the filter press is stopped. 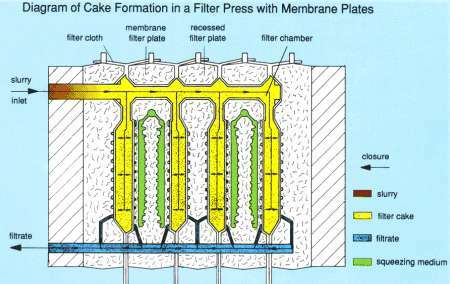 At this point the plates within the Filter Press can be inflated using either air or hydraulic pressure to exert a mechanical force on the filter cake retained in the chamber. The effect of the squeeze is to physically compress the filter cake and force out additional moisture held within the cake giving a drier end result.